Recently, someone who was looking at working with us as an Affiliate asked, “Aren’t you concerned about market saturation?” I had to laugh. This particular individual had seen a few ads on some sites they were visiting and they made the all too common mistake of thinking that what they saw in front of them was their entire market. The number of potential customers you have available is over 580 million and that number is growing on a daily basis. If we, as a company were to capture 1% of the worldwide market, that gives us 5.8 million customers. We are nowhere near this number which means you have a LOT of opportunity as a TrafficWave Affiliate. Now, what do all of these entrepreneurs have in common? They need customers. 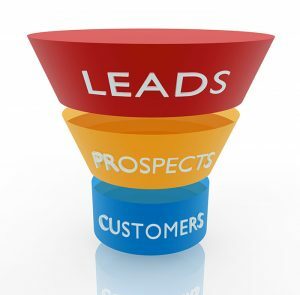 To get customers, they need leads. That is where you find your opportunity. In your own community, in your city, county, and state, in your social media contacts, there are countless numbers of entrepreneurs and small businesses that can benefit by using TrafficWave to generate leads, improve follow up, and drive sales. We are so far from any sort of market saturation that it is safe to say that the market is wide open. This is the perfect time to reach out to other business owners and operators around you and show them how they can win by using these tools in their business. For even more income, offer your services to help them get their capture forms, letter templates and follow up messages set up. Maybe offer regular management, broadcast, and tracking services along with email marketing advice. You might be surprised to discover how many businesses in your area are just looking for someone to help them understand and implement the power of email marketing. As I talk to local businesses, I constantly hear some form of “Yeah, we really do need to use email marketing. We just don’t have the time to get in to it, learn all that stuff, and manage it. Can you do that for me?”. More and more, we are starting to take on the role of becoming an “email marketing manager” for local business clients. Bottom Line: Market saturation is a myth. Market opportunity is staring us all in the face. Let’s seize this moment and create wealth by helping businesses use these tools to generate leads and drive sales.